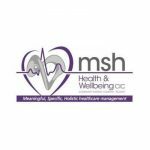 MSH Health & Wellbeing Community Interest Company (MHW-CIC) is a not-for-profit social enterprise that provides meaningful, specific and holistic health and wellbeing services from the heart of London. Our aim is to incorporate our six core values — care, compassion, competence, communication, courage and commitment — across all aspects of our work, be it within our office and clinic or within our local community. At MHW-CIC we provide employment opportunities and work experience placements for the local community, promote sexual health as well as addressing the sexual health and care needs of the LGBT community. Through our services we are able to employ people from the local community and provide work experience placements to young people through the Graduate companion scheme for our home care service MSH@home and through the Inspire! Education Business partnership. As a London Living Wage employer, we provide our employees with the financial support that they require by paying them London living wage. We also work closely with the Job Centre Plus to help provide work for the unemployed in the local area. Health and wellbeing are the core principles of our organization and we implement this across all of our divisions, from our sexual health services at our MSH at Queens Park, providing contraception and information for young adults through our Come Correct Condoms Scheme in Islington, as well as improving the health of smokers in the local area through our support group Knit & Quit.